Now that we’re into April, it’s all about getting up to Easter! This is a great excuse for some cute craft projects, and I thought I’d try out some of the different things I could make with my Cricut Maker! To begin I had a relaxed evening after work, and checked out the Design Space, and found so many cute Easter Crafts available! As you can read in my first Cricut post, it is incredibly easy to choose your design, and set up your supplies to cut out the pieces. I saved a few ideas, and when I got a day off work, I sat down in the craft room, and created these fun projects in one evening! 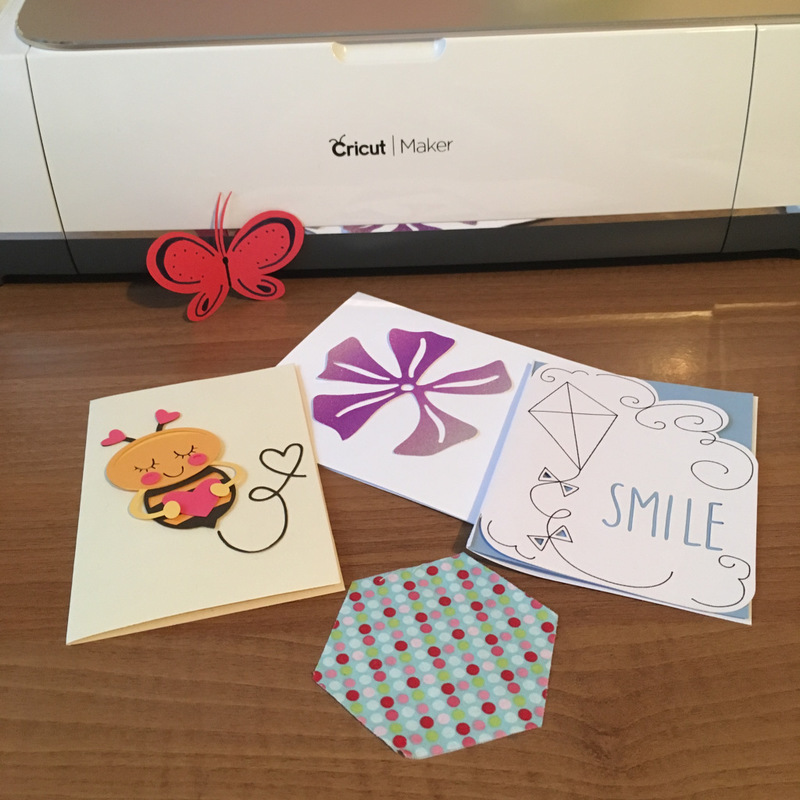 Which just shows how easy and quick it is to create fab crafts with the Cricut Maker! One project I really loved was this cute mini bunting! Ideal for decorating an easter basket, putting up on the wall (or as I’m using it, now it’s not being photographed on the wall) around the lid of a cake box! I’ve shared the above images just to show HOW tidy the cuts are from the Cricut Maker, there is so little mess, it’s incredibly easy to make a lot of projects at the same time. All I had to do then is use some double sided tape and glue to piece everything together, and I just used some tape on the reverse of the bunting to stick everything to the coordinating Ric Rac ribbon I found in my stash! Of course, it is no secret that I love making cards, and there are so many great designs on the Design Space! I loved this cute silhouette design, and just had to make it myself! There are SO many great card designs, it’s sure to keep me busy all year round! Of course Easter isn’t Easter without some treats, and I found so many projects for gift boxes, baskets and treat packages! I loved this cute bunny pillow box, and it cut out so beautifully! This is such a great style of gift box for so many things – even gift cards, if you wanted to give something in something more interesting than an envelope or card! All you need to cover the hole is a little rectangle of coordinating cardstock or clear plastic stuck to the inside before you seal the side edge! I really wanted to make a tag for this sweet jar we have in the kitchen, and in the images tab on the Design Space, I found this cute chick design! After cutting I glued the layered pieces, Added in some accents with coloured pens, and added some orange Ric Rac ribbon to tie it to the jar. Instantly transforming a plain glass jar of sweets into something more seasonal! I also fell in love with this carrot design gift box on the design space! It really shows how cleanly the cricut cuts through cardstock, and can help you produce something unique and fun! It was so easy to piece together once cut out, and is a great Easter gift idea! I hope this post has given you some Easter craft inspiration! If you decide to make anything I’ve mentioned here, I’d love to hear from you! I will be completely honest, I have never given much thought to iron-on projects. This isn’t to say I’ve never had the idea, I just assumed it was too complicated or fiddly for me, as well as something at risk of being a bit of a fad, that I’d pay out for, before becoming bored with it, not using it or getting distracted with something else. This being the case, I haven’t really been aware of products to do this at home, though of course I know you can do certain projects at home with an iron. I don’t know the first thing about materials or methods. This seems like a strange way to begin a post about a product designed for iron-on projects, but I wanted to stress that I am a complete novice here, it’s unexplored territory for me! I was contacted in the new year by the lovely people at Cricut, asking whether I would be interested in working with them. 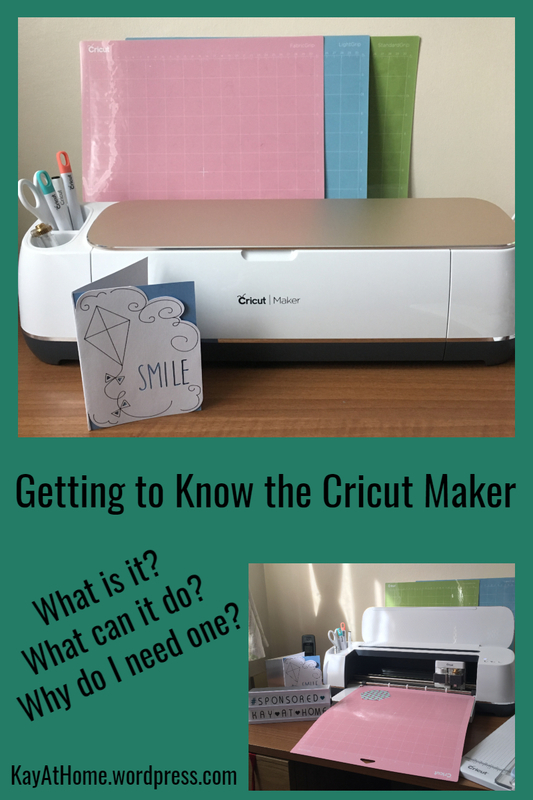 You can read my post all about the Cricut Maker in this post. I was sent a brand new Cricut Maker, lots of accessories, materials for projects, and a Cricut EasyPress 2 (9x9in) in raspberry. Much like the Cricut Maker, the EasyPress 2 comes incredibly well packaged, the box contains the EasyPress 2, a rest for it to safely sit on, instructions and a project with materials to get started. Something I am coming to realise about Cricut is how user friendly everything is! As I said above I have no idea what I’m doing when it comes to iron-on, so I was a little apprehensive when I began the first project, but it was SO simple, the EasyPress 2 has a simple settings area, for power, time and temperature, as well as the start button, and you head to the website to find the settings you need, which is really simple to understand and gives you the temperature, time and pressure needed to create your project! The Easypress 2 is nice and solid feeling, not too much heavier than an iron, with a lovely square 9×9 inch surface area, perfect for clothing and similar projects. You can also get the EasyPress 2 in 6x7in and 12x10in sizes, depending on the projects you want to use it for, you may want to consider a different size. The EasyPress 2 does not come with tools though I was gifted some things, and after creating one project, I can recommend a few things I used, which you may want to add to your shopping list. Cricut iron on vinyl, I was gifted some pink glitter iron-on so that I could use my Cricut Maker and my EasyPress 2 to make a project. Though I am aware other products exist, I love how the Cricut products are clearly labelled, and there is a huge range available to suit many kinds of projects. The vinyl is the perfect size for the Cricut Maker cutting mats and of course the Cricut Maker cuts them perfectly. The 9×9 (or whichever matches your EasyPress size) EasyPress Mat, which is designed to be the perfect size for your EasyPress 2. You can use a folded towel, though it was so handy to have this to hand, as it takes up less room, and I knew that my craft-room desk was safe and protected, as well as the EasyPress 2 and my project. Weeding tools – I would really recommend picking up a weeder, I chose something quite fiddly when I got going with my first project, but having a great weeding tool made things far easier than it could have been! To use the EasyPress 2, you do of course need Iron-on vinyl. Do not use anything not designed for iron-on projects with your EasyPress 2. There is a huge range available in a variety of colours, patterns and textures from holographic, to glitter, great for lots of projects! And of course iron-on isn’t just for clothing and accessories, you can iron onto anything you can iron – from notebooks to canvasses and even wood! The EasyPress 2 comes with a pre-cut iron-on glitter vinyl Cricut “C”, and a canvas bag for a simple first project; as I’d never done anything like this before, this is where I started. 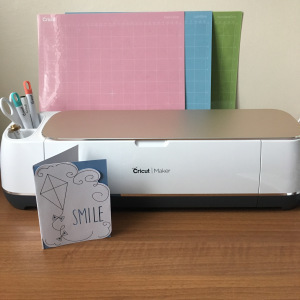 If you have a Cricut Maker, you can create a design on the Design Space, find a pre-existing project and customise it or use your own images and text. It really opens things up to create truly unique projects, and I genuinely have a ton of ideas after just one day of playing with the EasyPress 2! After making the free starter project, which of course doubles up as a great storage bag for your EasyPress 2, I decided to work on something just for me. I thought a nice starting off point would be a T-shirt, though where do I begin? What is also great about the Cricut Design Space is all the pre-existing projects available and I have SO many things saved to my favourites now. As I said in the beginning of this post; I had never considered iron-on projects as something I could do from design to making, but the EasyPress 2 makes it so incredibly simple, and has opened my eyes to a whole new area of creating I cannot wait to explore further! If you enjoyed this post, please consider sharing on social media, or pinning the below image to Pinterest! This is a sponsored conversation written by me on behalf of Cricut.The opinions and text are all mine. If there was any craft item on my ultimate wish list. It would be the Cricut Maker, the ultimate smart cutting machine! For someone that does as varied a selection of crafts as I do, it is truly a must-have, for so many reasons. The hard thing for me, is that it doesn’t come cheap, so is it something I could make the best use of? Is it right for me? I don’t really know what it can be used for. I’m sure there are others out there who feel the same way. If that’s you, read on! I was contacted in the new year by the lovely people at Cricut, asking whether I would be interested in working with them. Once I had pinched myself, confirmed that it was real, and had a cup of tea to recover, I of course sent a very enthusiastic response! 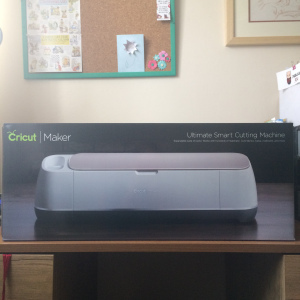 Soon after came some extremely exciting post, a shiny new Cricut Maker, accessories and more! So here we are with the first of many posts sharing my honest thoughts, experience and of course projects using this phenomenal machine! This machine has definitely been created with the user in mind, and considering its sleek appearance, it is incredibly clever! The storage cup on the left side of the machine is divided into two sections, one side shallow; ideal for storing smaller tools and pen lids. One deeper, great for keeping longer tools and pens to hand! The bottoms of both of the cups are lined and so you won’t damage the points of your Cricut Tools either! Definitely designed with the user in mind! 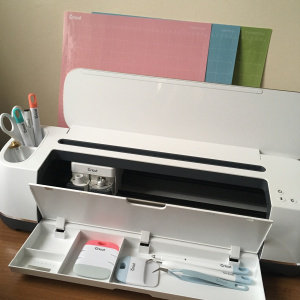 When you open the Cricut Maker, there is a space for you to rest your phone or tablet, as well as a USB charging port on the right hand side of the machine. The lowered door also opens to reveal another storage space! Perfect for scrapers and other tools! Speaking of tools; included with the machine, is a Premium Fine-Point Blade and Housing, and a Rotary Blade and Drive Housing, a Fine-Point Pen, 12x12in FabricGrip Mat and 12x12in LightGrip Mat, plenty to get started with! 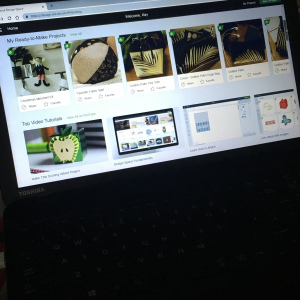 The Cricut Maker has a huge selection of tools including Scoring, Rotary and Knife blades, and other handy craft tools, you can purchase separately, enabling you to design and create nearly any craft project you could think of. This smart cutting machine can cut hundreds of different materials from light, delicate fabric without interfacing, paper, vinyl, cardstock, leather and even wood. 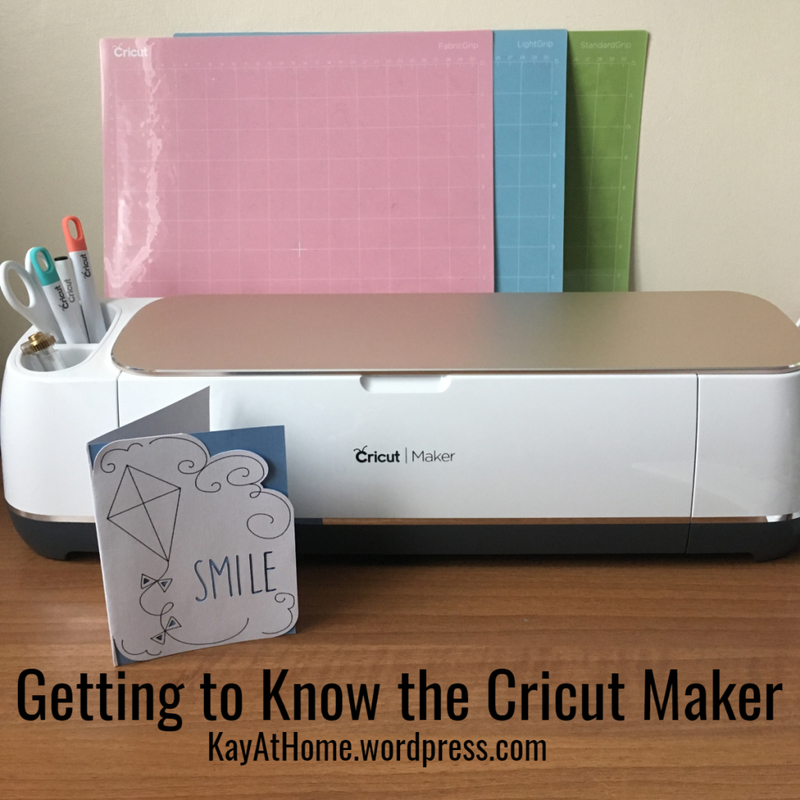 After only weeks of owning the Cricut Maker I have to say, this is an incredible machine for any kind of crafter, whether you create projects for fun, or for a business. The quality and finish of everything I have tried out so far is amazing. Vinyl – standard, craft and heat transfer vinyl for iron-on projects! As well as thicker materials such as canvas leather and even balsa wood! 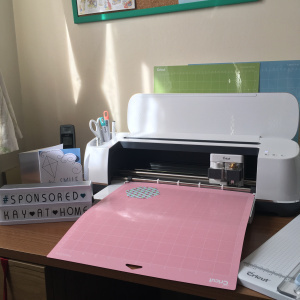 When you start your machine for the first time, you will need to set it up online, and here you will meet the Cricut Design Space, if you have never had a Cricut machine before. Here is where you will create your projects, with access to fonts, images and if you’re stuck for ideas, check out the Ready to Make Projects section! You can access Design Space from a computer, and connect via USB or Bluetooth, as well as from your phone or tablet! Great for coming up with ideas on the go! While you do need to be computer literate to navigate Design Space, there are lots handy tutorial videos available, and I would especially recommend the Cricut channel on YouTube, and generally it is easy to navigate your way around projects, whether you are creating from scratch or making an existing project. You can create your own designs, using your own system fonts, or the fonts included with Design Space, as well as images, patterns and even photos. It is easy to move things around, and see how the sizing works, though there are also templates included. When I had my first free day with the Cricut Maker, I invited Stu’s mum Helen to join me, and we both agreed it was simple, and clear to produce a project, though found a great deal of the available content in the Design Space, somewhat specifically targeted an American audience. Though many items are customisable and given the amount of content, there is still plenty to choose from aside from these. We played around with different types and thicknesses of paper and cardstock as well as fabrics, which cut evenly, with an incredible finish! I already know this will be great for making handmade cards (which I do all year) as well as producing elements for scrapbooking and other craft projects. Also there are already several projects from Design Space I want to make! You get free access to 50 projects with your machine, including sewing patterns, as well as a trial for Cricut Access, which I have also been gifted, and trust me, it’s SO worth it; there are so many projects to choose from, as well as fonts and other images which are perfect for cards and gifts! All of these were cut with the Cricut Maker all using free images on the Design Space from different papers, fabric and cardstock. Believe me; you aren’t limited to papercrafts with the Cricut Maker! 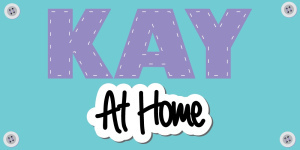 There are so many different types of materials you can cut, which means you can make all kinds of things, from home décor items, party decorations, clothes and accessories, toys and gifts, as well as handmade cards and embellishments! Honestly, I have spent hours checking out the Design Space, and there is so much I want to make and try! If you are into sewing or quilting or are a keen papercrafter, I would seriously recommend a Cricut Maker, I can’t wait to explore it further and share some more projects! We had a bit of fun this past weekend, something neither of us has done before, but we thought we’d have a bit of fun and blog about it! It’s St Pirans Day today! A day to celebrate all things Cornwall, and though I’m not Cornish, and many would say Stu isn’t either (you have to be born here apparently!) we thought we’d have a go at making proper cornish pasties! So first of all, make your pastry. Cube the butter and fat and rub into the flour roughly until it’s crumbly, season with a little salt and add a little water to bring it together into an elastic dough that doesn’t crack but is not wet. Don’t over work it. Roll it out and fold into 3, and do this 3 times. Cover it in cling film and put it in the fridge for an hour. While this is resting work on your filling! Peel and chip your potato, onion and turnip into small flat pieces, and remove as much fat from your beef as possible, cutting into small pieces also. Mix it together and season with salt and pepper. Once you’ve done all this and an hour or so has gone by, roll out your pastry thin enough to eat, but that won’t fall apart at the sight of all the filling! Cut into approximately 20-25cm circles (I used a cake tin, but a plate will suffice!) Add a couple of handfuls of filling, season with salt and pepper and gently bring the edges of the pastry together, pinch the edges closed and crimp, bringing a pinch over your thumb, as you go around the edge. Patch any holes with pastry offcuts, sticking them down with a dab of cold water. Personalisation is optional! Brush the pastry with some beaten egg (or milk if preferred) and place on greaseproof paper on a baking tray. Put in the oven at 220°c for 20 minutes, and then lower the temperature to 200° for a further 30 minutes. Then enjoy (well maybe let them cool down for a minute or ten)! Our thoughts: I still don’t like making pastry from scratch. Traditionally pasties are made from pastry somewhere between shortcrust and puff pastry, but honestly, I’m quite tempted to try this again with pre-made pastry next time, just because it’s a bit of a faff. This recipe is edited because the one we tried, well lets just say we had way too much potato. They were nice! We did eat them, and enjoy them! Everything was well cooked and really tasty, even if they weren’t as perfect as the professionals. It was a fun way to spend an evening, and we rarely cook together, so it was a laugh to spend time together doing something different. If you do try out this recipe let me know. A February Walk at the Lost Gardens of Heligan – Has Spring Finally Sprung? This time last year, we were facing the Beast From the East, and hiding away from the cold and snow. Around this time last year we made this guy! Using up all the snow in the garden! In comparison this last weekend has been beautiful, with sunny skies and temperatures bordering on (dare I say it?) warm! I had a rare Saturday off work, so we decided to go out and actually enjoy the nice day, and went to renew our annual locals passes at The Lost Gardens of Heligan. I have blogged about Heligan before, and you can read that post here to find out more. We didn’t have much of a plan, simply choosing to have a wander around, and enjoy the day! I did take a couple of photos though, as coincidentally, there were a lot of crafty activities going on (as it was the end of the half-term break) and I thought it was a great chance to share how great Heligan can be for a visit! This was truly stunning to look at! There were also some animals to be found, though it is a little early for any babies to be around(!) These two were in the barn supervising the crafting! I thought this was really fun, and a great chance for kids to get hands on, and develop an interest in nature. Also happening at Heligan at the moment is a Sensory Story Trail, in partnership with the Sensory Trust charity based in Cornwall. This was really cool to see, walking around, with a great opportunity for everyone to have a really sensory experience of Heligan, no matter your age or abilities, with spots dedicated to sounds, textures and visual elements as you follow a story on a flyer and boards throughout the gardens. It was such a lovely day, and though it was fairly busy, as always we didn’t feel at all crowded. We stopped off to buy some plants from the shop, because I got the bug last year, and now have to have outside looking all nice now the weather is getting better! After this we of course had to stop and get a nice cup of tea and some cake too! If you’re interested in visiting Heligan and want to know what’s going on, you can find out more on the website. and is purely based on my experience. I have a habit of giving myself challenges it seems! If the 2019 Movie Challenge wasn’t enough, I have decided to give myself a creative challenge too! March is National Craft Month, and to make things a little interesting, I thought I would give myself a little Instagram challenge, if you don’t follow me over there already, you can find me here. Let me know if you decide to take part! It’s pretty simple, each day is a number, for each number share that number of craft related things, whether it’s supplies, projects, tools or a combination of things! So here is to a month of creative fun!! 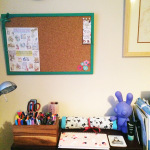 If that’s not all I have some great crafty content coming up here on the blog too! I was nominated for the Sunshine Blogger Award by Scarlett of Scarlett’s Scribbles Thank you so much for my nomination, Scarlett!! I’m fairly sure I’ve been nominated for this a couple of times now, but I keep forgetting to do a post (sorry!) But it came up again recently. Answer the eleven questions asked by your nominator. Ask them eleven questions, different to the ones you’ve answered. 1.) What’s your favourite childhood memory? I have a few, but I used to love trips to London, exploring museums and other attractions, especially now I live so much further from London. Vegetables. I like some fruit, but I’m a lot more picky about what fruit I eat! 3.) What’s your favourite Disney film? This is too haaaaard! Can I do a few? I’m probably still missing some that I absolutely love, but these are my favourites at the moment! 4.) What’s your pet peeve? Slow walkers. Or people who stop in the middle of the street at random ignoring other people! 5.) What’s your unpopular opinion? I probably have a fair few! I’ll go with the obvious from a couple of questions ago, I think Frozen is pretty overrated, I mean, I like it, but there are better Disney movies. 6.) Which song never fails to cheer you up? There are probably loads, but I’ll go with Who’s Got a Match by Biffy Clyro. 7.) Why did you start blogging? I wanted to share my craft projects. It’s evolved a bit since then! 8.) Which year of your life has been your favourite so far? This one? I don’t know. I think good and bad, you learn from things and it makes you evolve, there have been amazing years because we’ve been certain places or seen certain people but I’d like to think that will continue! 9.) What’s your favourite animal? Cats. Probably. I love how they lord it over everyone, and we let them! 10.) If you could live in any fictional world, which would it be? The first thought that came to mind was Middle Earth, I’d probably be a bit too tall to be a hobbit though… But the Shire seems pretty awesome to me! 11.) As this is the sunshine blogger award, what makes you happy? SO much! Crafts, exploring interesting and fun places, a good movie, good food and good people! 11 People I think are awesome, even if they don’t do this… You all bring a little sunshine to my life! 1 – What is your favourite thing about blogging? 2 – What is your favourite social media and why? 3 – What was the last book you read? 4 – If we were going to watch a movie together, what would you choose? 5 – What is a song guaranteed to get you dancing? 7 – Do you collect anything? Why did you start? 8 – Are you a morning person or a night person? 11 – What is your favourite thing about where you live? If you decide to take part(!) Do tag me and let me know! I’d love to see your answers! Thank you again Scarlett for nominating me! One month finished already! I don’t know about you, but I have come to love looking back on the month. It’s a nice chance to reflect, and plan for the future! I love to create the pages in my chosen scrapbook each year. It’s so nice to have the books to flick through, and there’s a fun mix of serious and not so serious photos and memories on each page! January was a fun month, if a little cold! I have already posted an introduction to my chosen book for the year in this post. I wanted to keep the pages of my scrapbook quite simple this year, so I have decided that I will have a colour for each month, and simply tie the double page spread for each month in with that colour. Here is the double page for January: Looking back, January was rather food based! No bad there of course! We really enjoyed visiting the National Maritime Museum, which we shared in this post, and of course celebrating Stu’s birthday too! Of course there’s very little surprise that most things in the book also appear here on the blog! 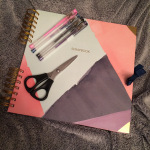 Do you journal or save mementos from the year? Scrapbook or memory box? I’ve been doing it so long, it’s almost habit now!